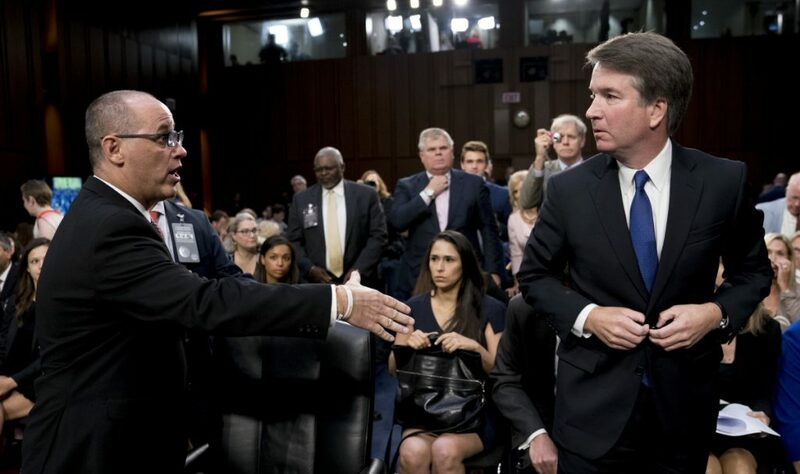 Fred Guttenberg approached Brett Kavanaugh as the Senate Judiciary Committee broke for lunch. WASHINGTON — It happened in the middle of a contentious meeting taking place in a country whose political divide seems to grow deeper by the day. The reactions of those who chose to weigh on in social media seemed to serve as a window into their politics. Some liberals saw Kavanaugh’s decision not to shake the man’s hand as a contemptuous act, a snub to the family of a victim of a heinous crime, and perhaps, by default, the causes of liberal America. For some conservatives, it was sign of liberal overreaction and hypocrisy. After the lunch break, Guttenberg was questioned by the Capitol Police for about 15 minutes, he said, before they let him return to the hearing.